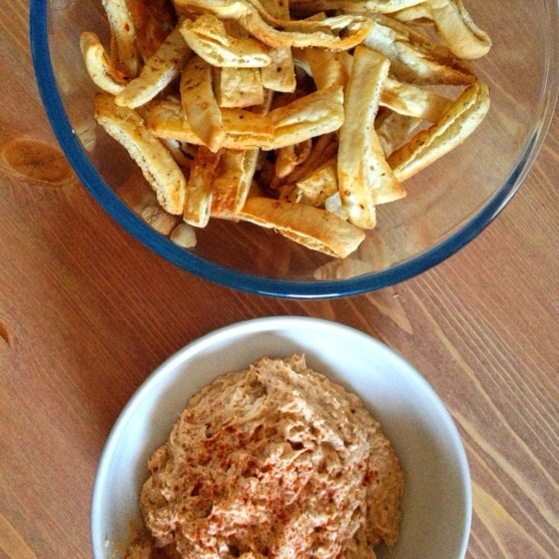 Looking for something healthy + inexpensive to take as an appetizer to a party this weekend? I’ve got you covered. 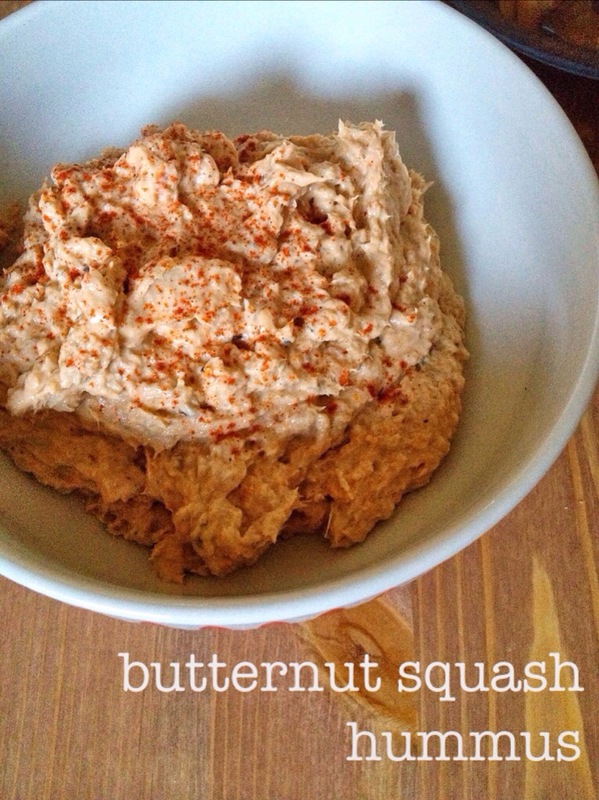 Butternut Squash Hummus. We have been cooking all year out of Jamie Oliver’s Save with Jamie, as a way to both save money on groceries and use recipes for which we can find the ingredients at our local markets. Back in the US, I am used to buying pita chips by the bag full at Sam’s, but they are not as common here, so we’ve been making our own. You can pick up a package of pita (or pitta) bread here for less than a pound (or quid) and it is always really fresh. We eat it with curries, tzatziki and hummus. Slice squash in half, de-seed and roast face down on a baking sheet in a 350 degree F oven (180 degrees C, gas 4) for 90 minutes. Allow squash to cool before scooping the flesh out. In a food processor, mix the squash with the rest of the ingredients. Pulse until you reach desired consistency. Serve in a bowl and sprinkle with paprika, cayenne and maybe a little drizzle of olive oil. 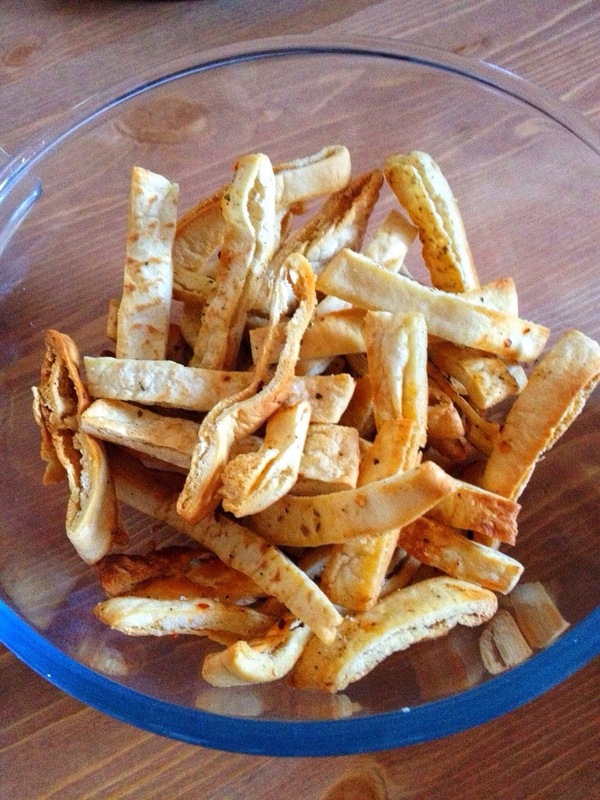 Easy Homemade Pita Chips: Cut pita bread into strips, brush with olive oil. Sprinkle with salt, pepper and crushed chili pepper. Bake on a sheet pan in a 350 degree F oven (180 degrees C, gas 4) until crisp. 10-15 minutes. My favorite soup is just mushed up roasted butternut squash with vegetable or chicken stock. I’ll have to save some next time I make it and use chickpeas instead of stock to give this a try! Thanks, Alison. I love any soup that has roasted squash. So fulfilling!